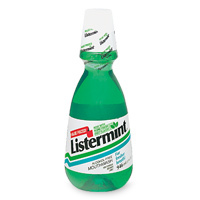 However, imagine my confusion when I found out that Listermint is actually owned by the same company that owns Listerine, Johnson & Johnson. Considering the fact that generic brands make up $88 billion in sales [this article is pretty on point], I’ll admit this is actually quite logical. Personally, I think it would be even more logical if generic brands developed their own brand, instead of mimicking the original. For example, Target’s brand Up & Up [see my appreciation for their improved package design here]. I wonder if Target’s brand sales revenue increased when they rebranded, and if so.. how significant was the increase?